When someone acts carelessly in a way that hurts another person, the responsible party may be held accountable for their negligence in a court of law. The attorneys at the Law Office of Valerie J. Crown focus their practice on assisting those who have suffered because of other people’s mistakes, including medical and dental errors. Our knowledgeable injury lawyers are here to help residents of Rockland County and other areas throughout Greater New York try to get their lives back on track. Since we are a small firm of dedicated attorneys with over three decades of experience, your case will get the individualized focus that it deserves. You will not be just a case number to us. Valerie J. Crown is always available through her cell phone, and your call will go straight to her without an automated message or answering service. There are four components in the typical negligence case: duty, breach of duty, damages, and causation. “Malpractice” is a name that the law gives to negligence committed by professionals, including medical providers, lawyers, accountants, and others who are in a line of work that involves special knowledge. To prove malpractice against a medical professional, the first thing that a claimant must do is to establish the prevailing standard of care. Just as motorists have a duty to obey the rules of the road and keep a proper lookout for other drivers, so do health care professionals such as doctors, dentists, podiatrists, chiropractors, psychiatrists, nurses, and hospitals have an obligation to perform their duties in accordance with the prevailing standard of care in their community and in their specialty. Establishing this duty of care usually requires expert testimony by another medical professional. 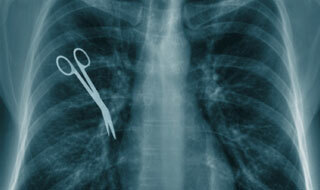 Not adequately informing a patient of the risks of a procedure. After duty and breach of duty have been shown, the third step is to prove that the victim was hurt as a direct result of the defendant’s malpractice. Finally, the injured person must identify the types of objective and subjective damages that he or she incurred. Damages can include past and future medical expenses, past and future lost wages, pain and suffering, and other elements depending upon the facts of the case. The “statute of limitations” is the period during which a victim may sue the party allegedly responsible for an injury or wrongful death. This time window varies from state to state. Generally, the statute of limitations for medical malpractice actions in New York is two and a half years. If a lawsuit is not filed within this period, a case likely will be dismissed as untimely. 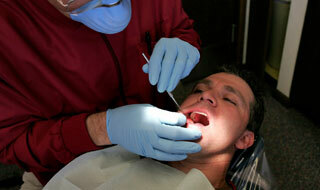 Doctors, dentists, and insurance companies fight hard in malpractice cases. To assert your rights, you should consult an attorney who understands the law, has the ability to retain qualified medical experts, and is not afraid to take a case to trial if necessary. Do not delay in calling the Law Firm of Valerie J. Crown at 845.708.5900 or using our contact form to schedule a free consultation. You can call us at any time, knowing that a member of our team will respond promptly to your concerns. Our attorneys have advocated for many victims of malpractice and nursing home abuse in Rockland County and elsewhere in New York State, including Westchester and Orange Counties. We welcome the chance to discuss your case with you.